The biggest Dota 2 tournament returns this August, delivering almost a week of esports to Valve fans around the world, both streamed online and live in-person. For more like Dota, check out our list of the best MOBAs. The Dota 2 International kicks off on August 7, running through to August 12. Tickets for the event will go on sale on April 4. 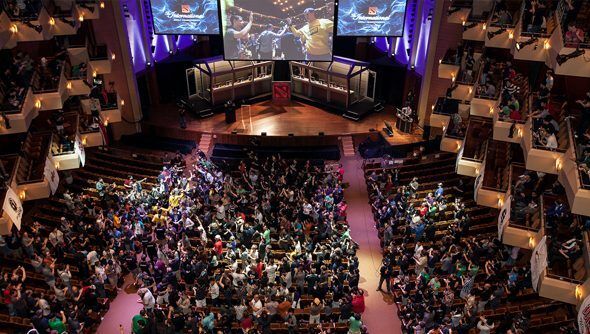 Valve boss Gabe Newell spoke earlier in the year about his concerns over hosting esports tournaments in America in the current climate, what with travel restrictions and the like. Despite that, it seems like the event will once again be held in Seattle, if this post about the upcoming cosplay competition is accurate. “We invite all dedicated cosplayers to craft their best Dota-themed costumes and make the journey to Seattle in August for the Main Event of The International,” the post says.